Amnesty International’s new film “Ink” shows that signatures are a powerful symbolic weapon not only to protect victims but also to neutralize government sponsored torture. The film shows a soldier or guard standing over a prisoner’s body, with sound designed to represent the prisoner’s muffled perception. The guard is distracted by what begins as a drop of ink, turning into an overwhelming torrent. 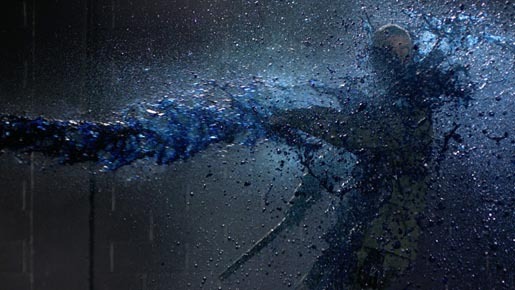 4000 litres of ink were used during filming, turning the whole crew into Avatar-like characters despite their protective gear. Filming was shot by director Cyrille de Vignemont via Wanda Productions, Paris, with director of photography Nicolas Loir, production manager Yannis Cullaz, editor Marc Maborough, and colorist Muriel Archambaud.